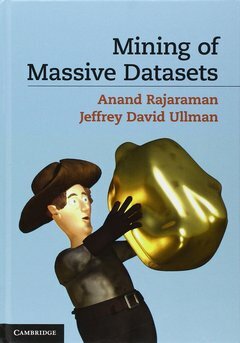 This book focuses on practical algorithms that have been used to solve key problems in data mining and which can be used on even the largest datasets. The popularity of the Web and Internet commerce provides many extremely large datasets from which information can be gleaned by data mining. This book focuses on practical algorithms that have been used to solve key problems in data mining and which can be used on even the largest datasets. It begins with a discussion of the map-reduce framework, an important tool for parallelizing algorithms automatically. The authors explain the tricks of locality-sensitive hashing and stream processing algorithms for mining data that arrives too fast for exhaustive processing. The PageRank idea and related tricks for organizing the Web are covered next. Other chapters cover the problems of finding frequent itemsets and clustering. The final chapters cover two applications: recommendation systems and Web advertising, each vital in e-commerce. Written by two authorities in database and Web technologies, this book is essential reading for students and practitioners alike. 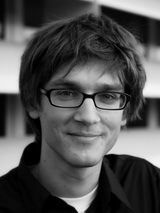 Jure Leskovec is an Assistant Professor of Computer Science at Stanford University. His research focuses on mining and modeling large social and information networks, their evolution, and diffusion of information and influence over them. He is also Chief Scientists at Pinterest, where he is focusing on machine learning problems. Jeff Ullman is the Stanford W. Ascherman Professor of Computer Science (Emeritus). His interests include database theory, database integration, data mining, and education using the information infrastructure.